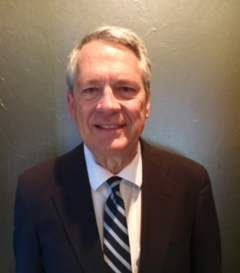 David W. Lee is of Counsel with the law firm Riggs, Abney, Neal, Turpen, Orbison & Lewis in Oklahoma City. David served as Chief of the Criminal and Federal Divisions of the Oklahoma Attorney General’s Office for three Attorneys General. David also was an Assistant United States Attorney for the Western District of Oklahoma. David has argued four cases before the United States Supreme Court: Thompson v. Oklahoma, 487 U. S. 815 (1988); Burlington Northern v. Oklahoma Tax Commission, 481 U. S. 454 (1987); Oklahoma v. Castleberry, 471 U. S. 146 (1985); and Eddings v. Oklahoma, 455 U. S. 104 (1982). He has also argued forty-eight cases before the United States Court of Appeals for the Tenth Circuit. David has given national teleconference lectures for the National Business Institute (NBI) and WestLegalEdCenter. He is also a regular lecturer for Lorman Education Services. He presented a lecture to the Georgetown College of Law at that law school’s annual Section 1983 seminar in 2002. David was an adjunct professor at the Oklahoma City University School of Law and the University of Oklahoma College of Law. If you need the short answer to a Section 1983 question, and you can't afford to waste time running down the wrong research path, turn to the Handbook of Section 1983 Litigation. This essential guide is designed as the practitioner's desk book.